To promote the October 21st release of 'Jack Reacher: Never Go Back,' starring Tom Cruise, today Paramount released a tie-in game. Are you celebrating National Punch Day today? Neither am I since I had never heard of it until today. Do you want to celebrate National Punch Day? Well now you can thanks to Paramount Pictures. Paramount Pictures is celebrating the release of Jack Reacher: Never Go Back with an all new digital game available today for Android devices on Google Play and the film’s website. Released in conjunction with National Punch Day, the Jack Reacher: Never Stop Punching digital game is an 8-bit side scroller where players pose as ex major of the United States Army Jack Reacher, whose mission is to protect the country from miscreants in the name of justice. Reacher is an unstoppable force who has nothing to lose and everything to punch. Jack Reacher (Tom Cruise) returns with his particular brand of justice in the highly anticipated sequel Jack Reacher: Never Go Back. When Army Major Susan Turner (Cobie Smulders), who heads Reacher’s old investigative unit, is arrested for Treason, Reacher will stop at nothing to prove her innocence and to uncover the truth behind a major government conspiracy involving soldiers who are being killed. 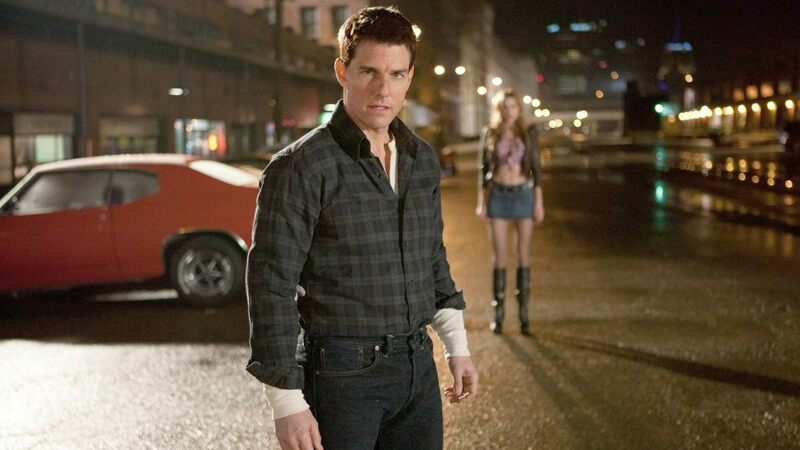 Based on Jack Reacher: Never Go Back, author Lee Child’s 18th novel in the best-selling Jack Reacher series, that has seen 100 million books sold worldwide. The film stars Tom Cruise, Cobie Smulders, Aldis Hodge, Danika Yarosh, Patrick Heusinger, Holt McCallany and Robert Knepper. Produced by Tom Cruise, Don Granger and Christopher McQuarrie. Based on the book Never Go Back by Lee Child, with a screenplay by Richard Wenk, Edward Zwick and Marshall Herskovitz. Executive Produced by Paula Wagner, Herbert W. Gains, David Ellison and Dana Goldberg. Directed by Edward Zwick.